Metal: 750 / 18 kt yellow gold, stone: 2 diamonds white F/VS approx. 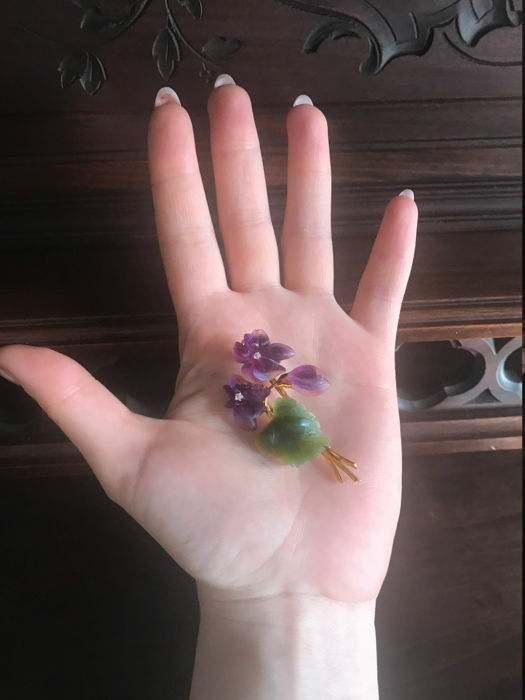 0.10 ct, amethyst, jade, weight: approx. 13.65 g, approx. 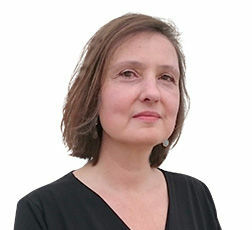 5.6 x 3.0 cm. 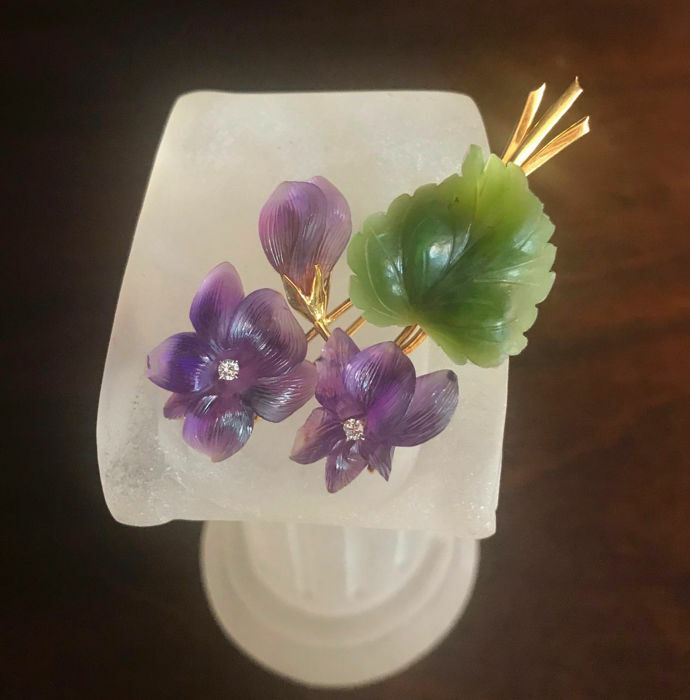 Brooch/pendant "flower bouquet" with 2 small diamonds, purple amethyst flowers and emerald-green jade leaves, made of 750 / 18 kt yellow gold. A testimony to the fabulous art of goldsmithing is on offer: brooch with solid 750 gold / 18 kt. 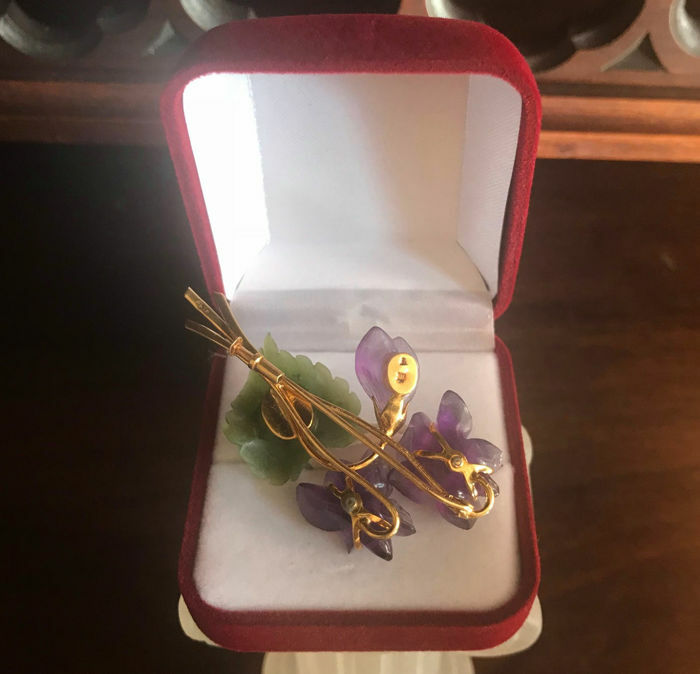 The gold mount holds a violet flower made of precious stones. 1 finely cut leaf made of green jade is depicted true to nature with jagged edge and leaf veins. 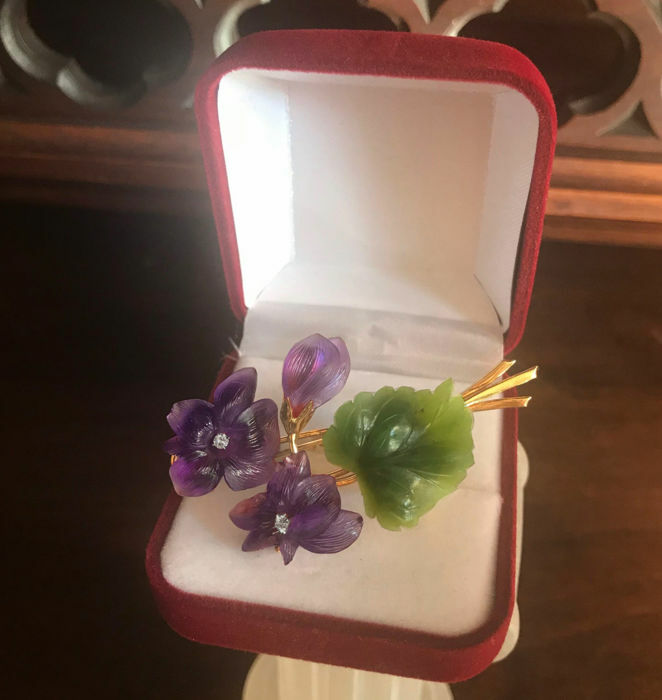 The violet blossoms are made of cut amethyst and feature a natural diamond approx. 2.2 mm each in diameter in the centre. Total of about 0.10 ct.
A bud is made of cut amethyst. Brilliant cut diamonds (F/VS), white. Three struts made of 750 / 18 kt gold. A necklace can be pulled through and the brooch can be worn as a pendant. 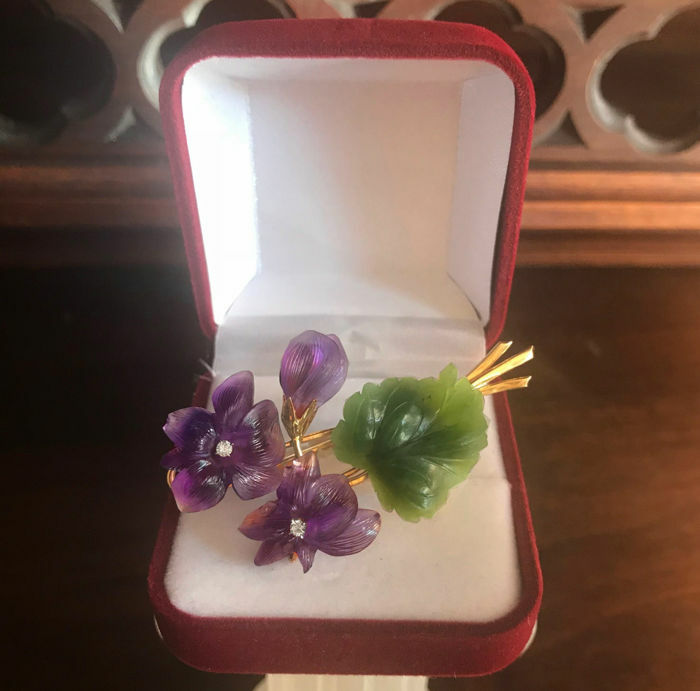 Gemstones: natural amethyst, natural jade, 2 small diamonds approx. 0.10 ct. White F/VS. Dimensions: approx. 5.6 x 3.0 cm. Delivered will be: brooch / pendant "flower bouquet". The necklace is not part of the offer.